A Winnipegger just landed a big job with the United Nations. 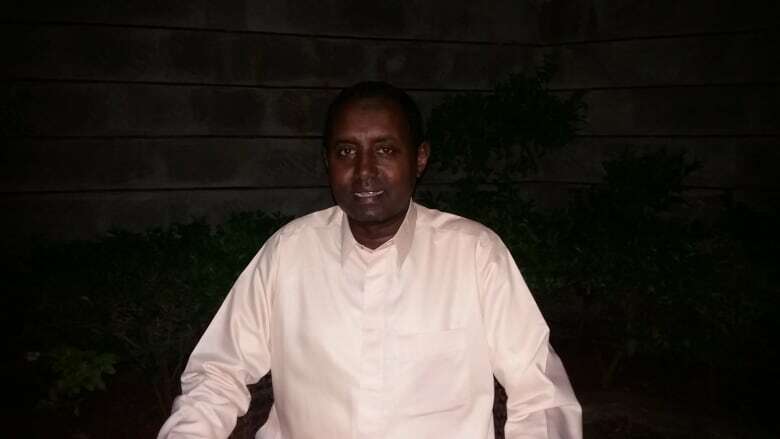 Ahmed Warsame has been appointed director of global emergencies, staff security and supply management by the UN's High Commissioner for Refugees. The Somalia-born humanitarian aid worker has spent most of the past 30 years in areas where some of the world's worst conflicts have occurred, including south Sudan, Ethiopia, Kenya, Uganda and Pakistan. In the new role based in Geneva, Warsame will help provide protection and assistance to millions of displaced refugees worldwide. His job and other leadership roles at the UN come bundled with some scary occupational hazards. After announcing his retirement, former Lieutenant-General Romeo Dallaire, who represented the UN, revealed he suffers from post-traumatic stress disorder (PTSD) — a result of what he witnessed on the ground during the Rwandan genocide. Warsame said he knows the nature of the work is inherently risky. He has colleagues in the humanitarian world who, like Dallaire, have been left with mental and physical scars working in war-torn areas. But Warsame said he's thankful to be in good health and feels like he still has a few more years to give to the cause. "Thank God I've been able to do it up until now," Warsame told CBC News from Africa on Thursday. "I feel very much strong and have a sense that yes, the job comes with a great deal of stress. Often times we are working away from our families and loved ones, and that, too, adds a personal cost." Warsame said in all his years working around the world, the scale of the recent refugee crisis that led millions to leave countries in the Middle East for Europe is worse than anything he's ever seen. "The number of people internally displaced and those forced to leave their homes has increased quite substantially," he said. "We're not seeing an end to many conflicts around the globe just yet. "It's been unprecedented, and again, many of them are fleeing from wars and conflict. I hope the situation in their home countries [improve]." Warsame will begin his new job in January.